Frack Free Denton is Off to a Great Start! Frack Free Denton launched with overwhelming support, garnering 200 hundred signatures in the first few hours, a third of the needed amount. At the launch party, citizens such as a mother of two from the Vintage neighborhood spoke about their terrible experiences living with hydraulic fracturing literally in their backyards. We heard from the former mayor of Dish, Texas, Calvin Tillman, who moved his family after his children began experiencing severe nosebleeds when fracking began nearby. Petition circulators were trained, news reporters and media were there, and voters were registered. Other signing events happened throughout the week, gathering even more signatures on campus and at local businesses. 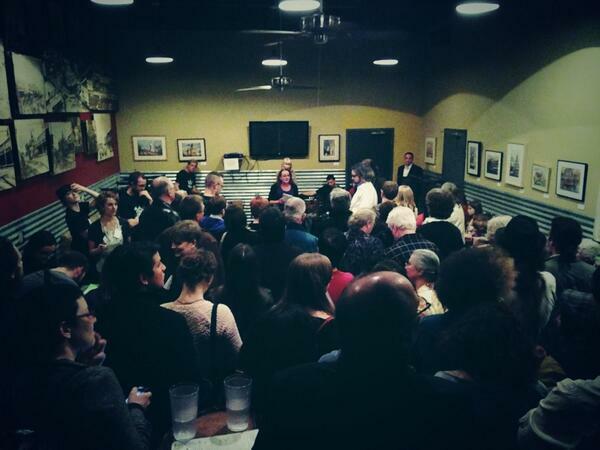 If this week was any indication, the people of Denton are ready for a Frack Free Denton! This is truly a historic time for our town that we want you to be a part of. If successful, Denton would become the first major city in Texas to ban hydraulic fracturing and the first city in the nation to ban fracking after permits have already been granted. Most importantly, we could make our beloved town a safer and healthier place to live. At the website above, you can check to see if you are already registered, if your information is up to date, or fill out an online application that you then print out and mail in. 2) Sign the Petition. If you are registered to vote in the City of Denton, please come to any of our signing events and add your name to the petition to ban hydraulic fracturing in the city limits of Denton, TX. Be a part of history and join this citizens’ initiative! 3) Donate. Your donation will to help us spread the word about the citizens’ initiative with more signing and voter registration events, educational film screenings, and fundraisers. It will also help us cover the basics of running a campaign (i.e. making copies adds up!). Donate here on our website or directly at any of our events. 4) Events/Fundraisers– Have a good idea for a fundraiser? Want to host a community signing event? We can provide someone to notarize your full petitions, deputy voter registrars to register voters, and information regarding fracking in Denton. Let us know how we can help you make your idea a reality! 5) For Petition Circulators– If you received a petition to collect signatures, please fill them up as soon as possible and then contact Cathy at: dentoncountywellwatchers@gmail.com, We will get a notary out to you to notarize your petition. The quicker we get these petitions notarized and turned in, the quicker we will have an accurate count of how many signatures we have. Thank you for your hard work! Finally, the best way you can help is to stay in touch and GO VOTE when the time comes! Sign up on our mailing list on our contact tab and we will send you updates about the campaign and a reminder to vote. Thank you all for your overwhelming support, together we can make a healthier, safer, Frack Free Denton. 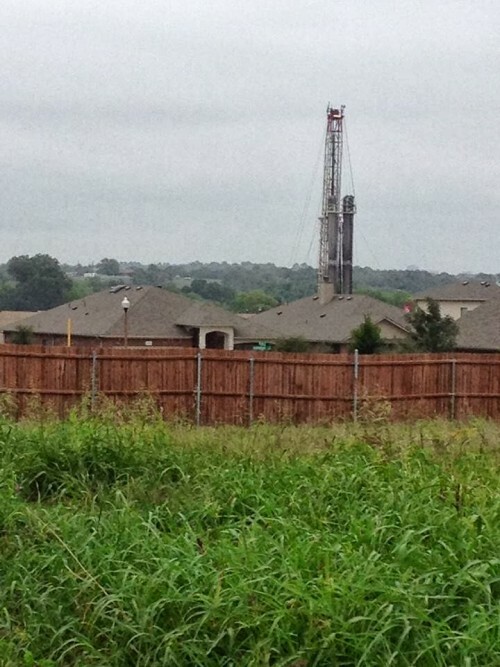 Denton, Texas, February 18- The Denton Drilling Awareness Group (Denton DAG) today announced they are collecting signatures for a ballot initiative to ban hydraulic fracturing within city limits. If approved by voters, Denton would become the first major Texas city to ban fracking, and the first city in the country to ban fracking after permits had been previously granted. Denton DAG is comprised of members of the former Denton Drilling Advisory Group-which was formed at the request of a city government official to provide expert and public input while the city council developed drilling ordinances. To get on the ballot, fracking-ban supporters must gather 571 signatures within 180 days. Denton DAG members have reason to expect they can exceed that mark, as increasing numbers of Denton residents are concerned about fracking in their neighborhoods. Hundreds of municipalities across the country have passed bans or moratoriums on fracking, but none with the extent of fracking already occurring as Denton. There are more than 270 active gas wells within the city limits of Denton. Only new hydraulic fracturing operations would be banned by this initiative, active wells would keep operating. Denton Drilling Awareness Group (Denton DAG) is incorporated in Texas as a non-profit educational entity. Its mission is to promote awareness, spark discussion, and foster education and research about the drilling and production of natural gas and their impacts on public health, the environment, and property values in the city of Denton.